Lavender is a very drought tolerant plant, once established, and spring is a perfect time to plant this lovely and oh, so fragrant herb. Especially this very rainy, cool spring! There are hundreds of varieties of lavender that grow throughout the world. There are a proven dozen (and still trying) that grow well in our Piedmont North Carolina region. Everyone should have at least one lavender plant in the garden! My aim is to help you grow the healthiest lavender possible by preparing the soil properly, spacing them well, and trimming them so that they will have abundant blooms for many years. 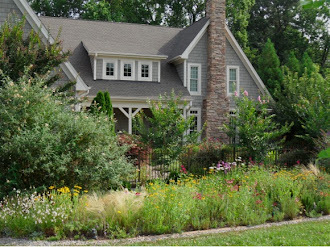 In North Carolina, our native clay soil and humid conditions are a challenge for lavender. Select a garden location with full sun (at least six hours and optimally on a southern or southwestern slope) and take the following steps to help you successfully grow this delightful herb. Requires well-drained soils. Raised beds and containers work well too. Low fertility. To much fertilizer will cause the foliage to grow beautifully, however, the lavender may never bloom. If lavender is grown in a container, the temperature will be 15 degrees colder than if it is planted in the ground. With this in mind, winter protection is needed. It will be best outdoors by burying the pot, covering the pot with burlap, straw or some other protective covering. Locate the potted lavender on the southwestern side of a structure to capture maximum sun and warmth during the coldest months. Tucked close to a building will allow it to stay warm. A corner is a good spot so that it is protected from winter winds. Lavender does not enjoy being an indoor plant since it can rarely get enough sun to satisfy it. If you do not have a spot as described and need to bring it in during the winter, just be sure to locate it in a sunny, warm window. 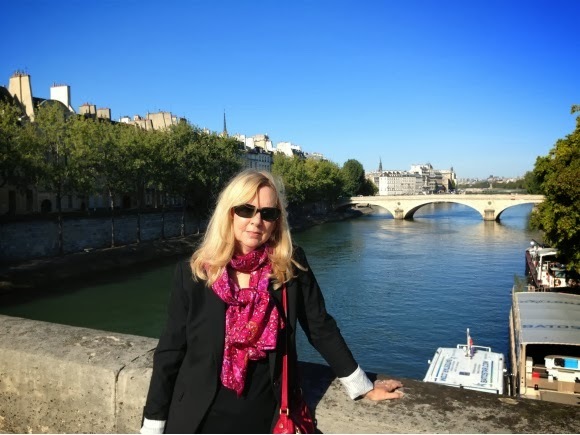 You may take it outdoors on those gifts of days when it is sunny with balmy temperatures. By the time spring arrives, it should green up and do just fine. Remember the saying. “Dig a $10 hole for a $5 plant?” This holds true more than ever for lavender! Create an 18-24" high mound above the soil line with well cultivated soil working the soil to the full growth diameter of the lavender variety chosen. 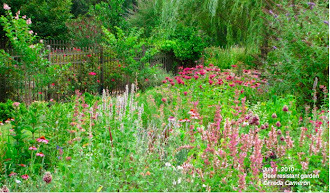 (For example, if growing Provence, cultivate the soil 4’ around, amending with stone for sharp drainage. The mound is created in the center where the new seedling will be placed.) The root system of lavender is fairly shallow, reaching 8-10” in depth and to be on the safe side, about the same diameter as the drip line of the mature plant. Using a trowel, dig a hole just deep enough for the plant in the top of the mound. The mound will settle to 6-8” over time. Place about 4 cups of 1" round stone (err on the side of more), ½ cup total of equal parts of bone meal, lime and well composted manure in the bottom of hole and mix well. The stone will allow the soil to drain well, the lime will improve the pH, bone meal and compost for a healthy start. Water your lavender well in its nursery pot and let it sit for an hour or overnight is even better, before planting. Trim the top of the plant to ensure a nice bushy, productive plant. Remove most of the planting material from the root, loosening the root system, so that the plant will be placed in the ground mostly bare root. Lavender likes getting down into the native soil. Toss a bit of unamended soil in the very bottom of the hole. Place the plant in the hole preventing the roots from touching the lime/bone meal/compost blend and pull the soil up around the base of the plant. Depending upon the lavender variety selected, space plants 36"-48” from one another for good air circulation since they will grow quickly and fill in the space. It is fine for the blooms to touch. Just prevent the foliage from touching since the lavender will kill one another out over time when crowded. Leave 8-12” between plants. 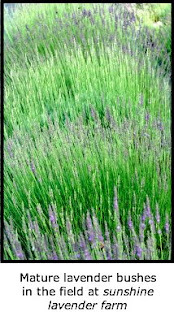 Lavender sleeps its first year, creeps the second and blooms at its peak in its third year producing about 1000 stems. Prevent weeds by mulching with a light colored mulch like coarse sand, gravel or shells. Do not use hardwood mulch since wood shavings hold moisture in the soil and lavender prefers to be high and dry. The sun will reflect light, keeping the plants dry and help deter disease, and enhance bloom and oil production. In our region, around Halloween, or three weeks before hard frost, prune 1/3 of lavender plant each fall, 2-3 weeks before hard frost. Rule of thumb is to leave 1” of foliage all the way around. Be sure to trim away any wayward branches that have a tendency to grow along the ground. Annual pruning will help the plant grow full and rounded and deter sprawling which can cause the main stems to split and break. When this happens, moisture gets down into the plant causing it stress, disease and it will eventually go to the great compost heap in the sky. Toss a handful of bone meal/lime/compost blend (same mixture used at planting) around base of plant in the fall just before rain or water afterwards. The lavender varieties that grow well in our area will bloom from about Memorial Day to July 4. So, look forward to summer and when your lavender blooms, sit back, breathe in its fresh delightful scent and enjoy! 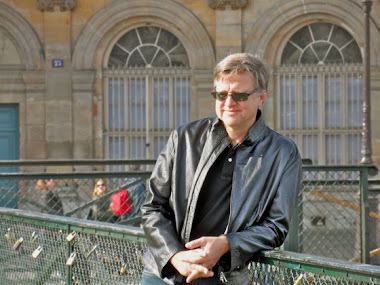 Fred Boutin, Grosso, Hidcote, Provence, and Spanish. Some white lavender, like White Provence also grows fine here. Hidcote Giant is a Lavandula x intermedia variety and is showing signs of longevity as well. We are now offering Goodwin Creek since some of our mountain customers enjoy this variety. Petite lavenders, like Hidcote and Spanish for small gardens or containers, and larger specimens as a backdrop for big gardens throughout the seasons like Fred Boutin, Goodwin Creek, Grosso, and largest of all, Provence. Sequence of bloom time is Spanish, Hidcote (around Memorial Day), Provence (early June), and Fred Boutin, Goodwin Creek, and Grosso begin in mid June in central NC. Fred Boutin: One of the oldest lavenders on our farm, this plant is hardy and lovely. There are three bushes next to our screened porch that have that nice gray/blue foliage color in winter. The foliage grows so full and thick that I have to prune them back more often so that they do not crowd one another too much. The blooms are the most unusual periwinkle blue! A nice performer and one of my favorites. Begins bloom in mid June. Grows 24" - 30" around and tall. Goodwin Creek is a pretty lavender with a dense habit and pretty grey-green foliage with scalloped leaves. The rich violet-blue flowers are incredible! Many from the mountains have raved about this lavender. A unique lavender and a nice addition to any garden. Try it against a sunny wall. Grows 24 - 30" around and tall. 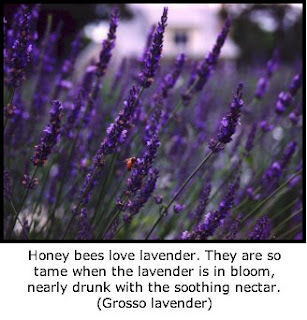 Grosso: The lavender with the highest oil content of all of the lavenders. It has lovely, medium purple blooms beginning in mid June. Hardy and gorgeous. Grows 24"-30" around and tall. Sometimes larger. This lavender dries well and stays on the stem. Nice for wreaths and floral arrangements for lasting color and fragrance. 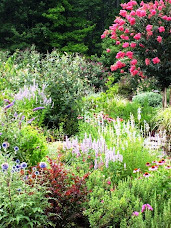 Hidcote: Blooms around Memorial Day, typically in Zone 7a where the farm is located. A small, compact lavender that grows about 18" – 24” around and tall. 8"-12" stems are a brilliant royal purple. Dries nicely too. Brides love this lavender! Provence: Truly a specimen in your garden. This lavender is the largest of all! Grows about 36" around or more. It is an amazingly fresh and fragrant lavender when it begins to bloom in early June. Pale lavender flowers on very long stems. The stem length can be almost a yard long! Provence is nice for cooking and crafting since the florets naturally fall from the stem once spent or dried. Please do not get frustrated with this lavender for this reason ... just grab those florets and find a lavender recipe! Spanish: The first to bloom in the garden here. I love it for that reason! It is a fun landscape lavender and does not have true florets ... really mini flowers topped with "feathers" or "bunny ears" petals . Very fun with a beautiful red/purple color. Spicy scented, long lasting, and very hardy planted in a southwestern facing garden. If sited otherwise, mulch young plants over the winter. Grows 24” around. 18” – 14” tall in bloom. White flowers are lovely in fresh arrangements. Great for cooking. Uses stems as skewers when grilling. Requires excellent drainage, good air circulation and full sun. Medium purple flowers on long stems make Hidcote Giant very different from Hidcote Lavender. Tolerant of heat and humidity. Requires excellent drainage, good air circulation and full sun. For lavender lovers who may enjoy visiting sunshine lavender farm, the farm is open the second weekend in June, by invitation only, for our Lavender Harvest Celebration, then again in December for a Lavender Holiday Celebration. Visit www.sunshinelavenderfarm.com and sign up for our enews for ongoing event information, like the Celebrations on the farm, lavender care tips throughout the year, recipes, and much more.